'I'm trying to invite you into scenes where you might not want to be invited in' - Leon Golub Leon Golub (1922-2004) was a leading exponent of history painting - painting as a narrative, symbolic expression of global, social and political relations and of the realities of power. 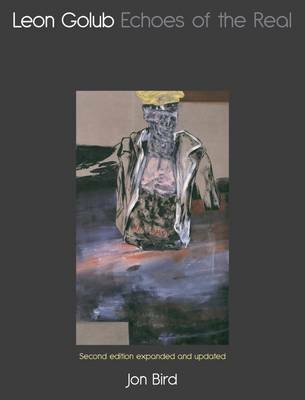 In this revised and expanded second edition of Leon Golub: Echoes of the Real, Jon Bird examines the artist's work from the classically influenced early paintings through depictions of conflict and masculine aggression to the compelling images of Golub's last two decades. Despite the widespread critical attention Golub's work has received, the range and extent of his practice and its complex interweaving of the iconographic traditions of both high and popular art have not been properly examined. As a history painter, Golub is acutely aware of the antecedents to his own imagery and symbolism; and part of Jon Bird's examination of Golub's work is to track and define the artist's relationship to modernism. Making a case for the artist's practice of 'critical realism' that also takes account of the unconscious, Bird focuses on two themes that dominate Golub's work: how his art figures the body as a sign for social and psychic identity, and what might be termed the symbolic expression of social space.